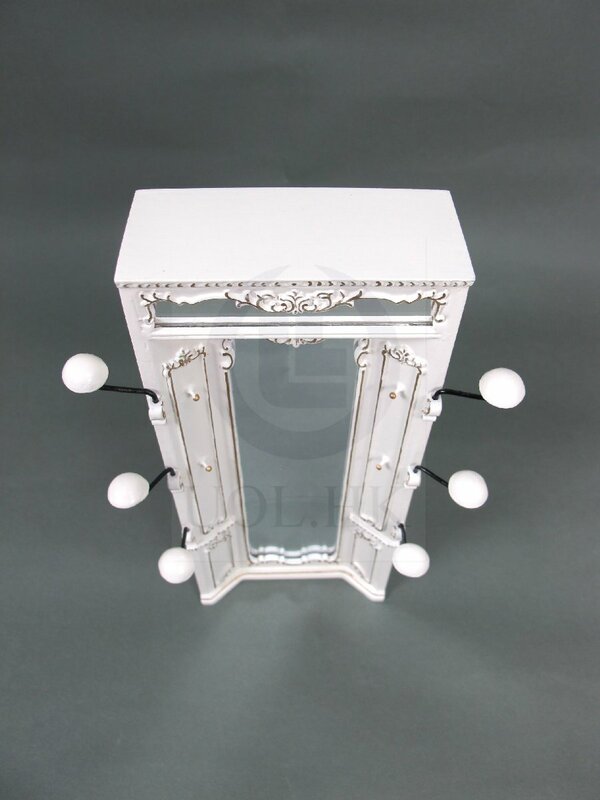 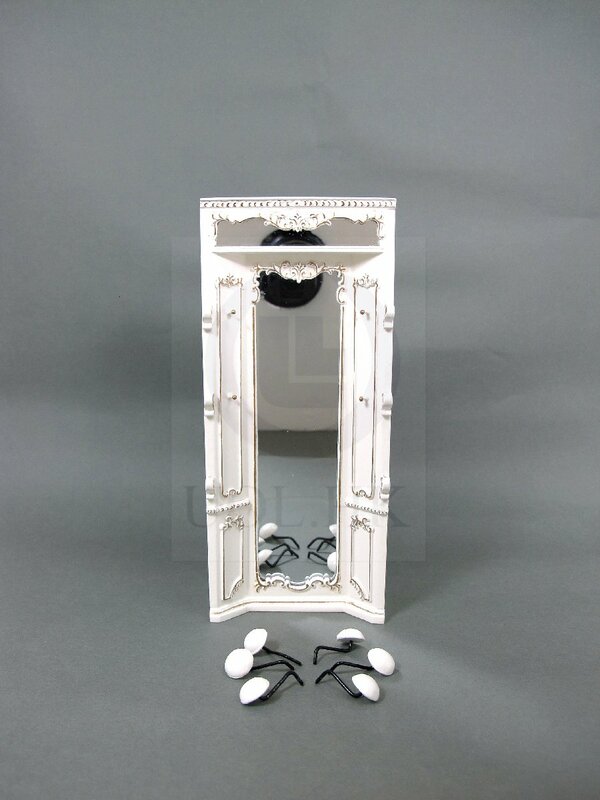 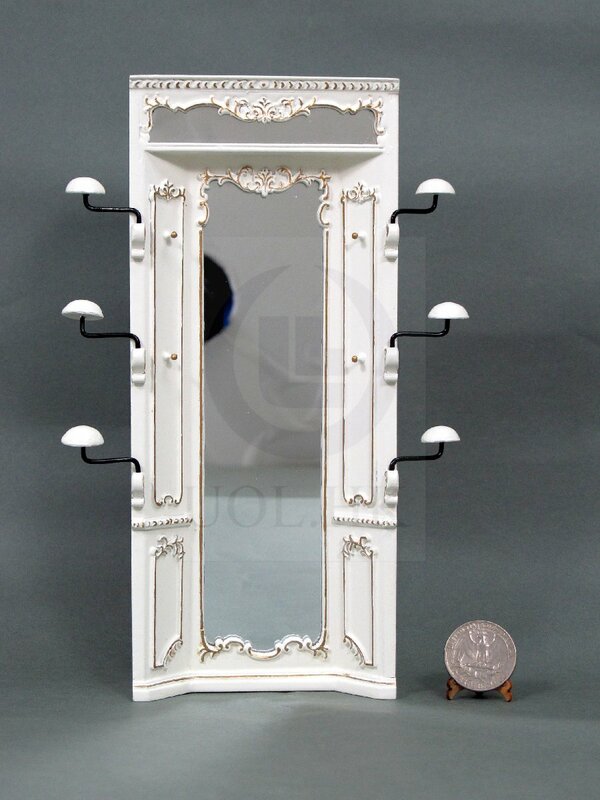 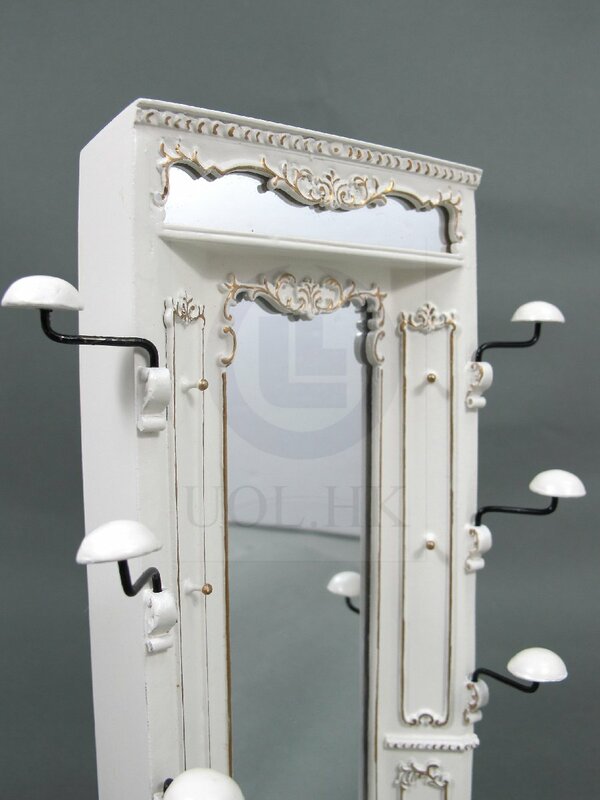 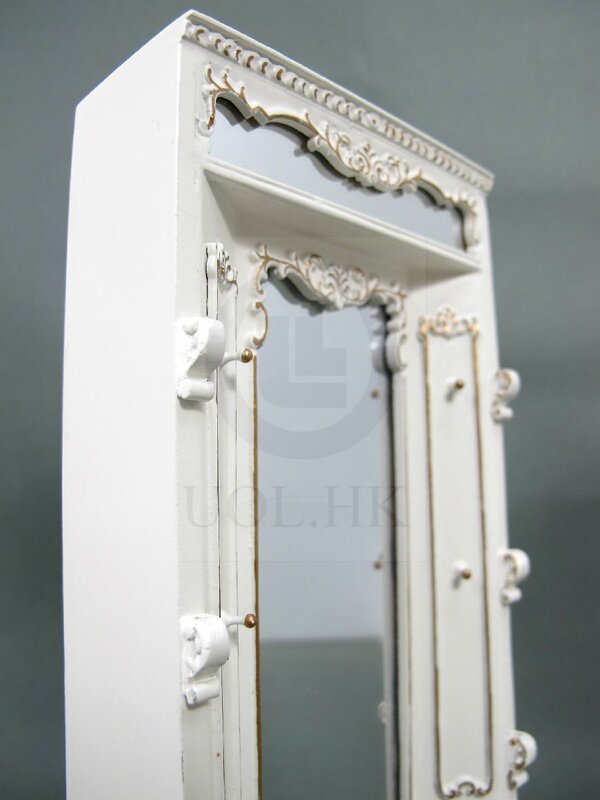 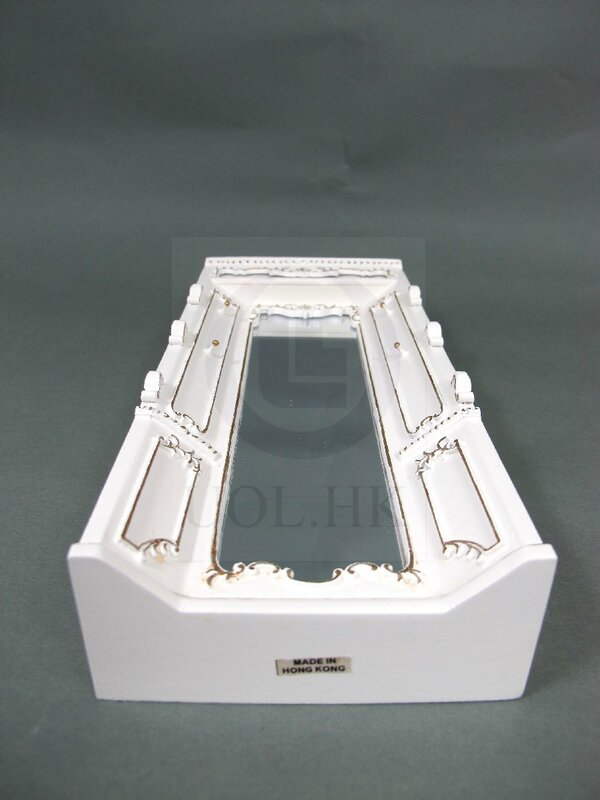 This one scale mirror unit made of wood, finished in white with gold trim. 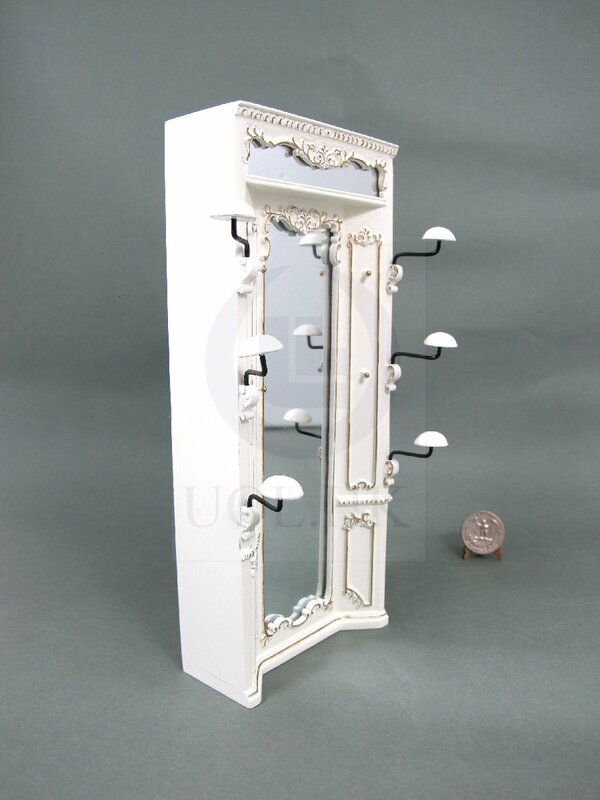 Six hat rack are loose. 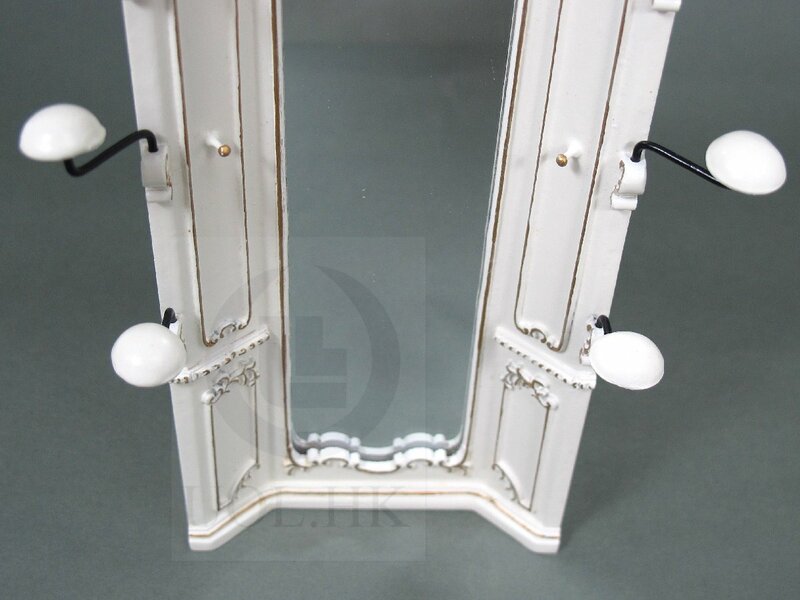 Two hooks both sides of the mirror.